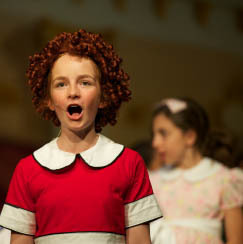 We only perform the very best quality versions of well-known musical theatre productions. The shows are specifically edited to suit younger performers while retaining all the characters, songs and magic of the originals. 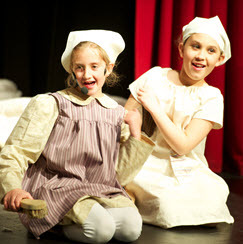 Performed on a real stage with full lighting, sound and costumes, your child will truly feel like a Broadway Star! 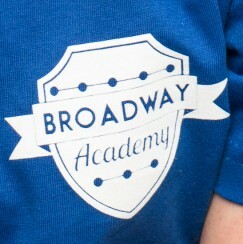 You can be confident that your child's Broadway Academy teacher will be completely dedicated to bringing our the best in your child. This is not a performing arts 'factory' where all students are turned out the same! 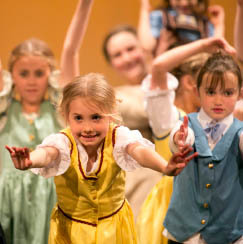 Each child's unique performance style is encouraged while giving them the very best quality foundation in singing, drama and dance. A local class venue and a local performance venue - convenience at it's best! Classes are held in Mornington and Frankston with further locations coming soon!